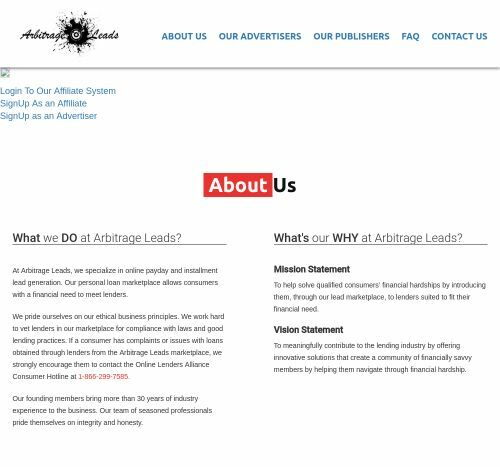 ArbitrageLeads Banner, Email advertising network details. Arbitrage Leads is a Bulgarian performance-based marketing network that provides unique marketing solutions for their advertisers and affiliates. The platform was founded in 2014 with the desire to improve the online marketing space. Check the reviews of Arbitrage Leads on Affbank and the Information section to find out what Pricing Models they have, their Advertising Formats and Targeting Options. Don't forget to get back on Affbank in order to leave your review about Arbitrage Leads.